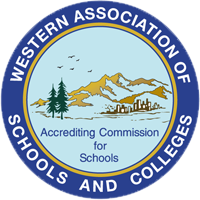 CCS is fully accredited by ACSI (Association of Christian Schools International) and WASC (Western Association of Schools and Colleges). Our accreditation, along with our high standards, signifies to parents, alumni, and the community that the school is maintaining high standards comparable to top private and public schools across the country. Our teachers use the best and current resources available to integrate a biblical worldview with the subject-matter standards. We encourage students to participate in ASCI sponsored academic competitions, such as the Math Olympics, Speech Meet and Spelling Bee, as well as non-ASCI technology competitions. In the spring of 2017, CCS went the through the accreditation renewal process. This process included an in-depth self-study of our school conducted collaboratively by our teachers, administration and school board along with a three day visit by a five member ACSI/WASC accreditation team in April. 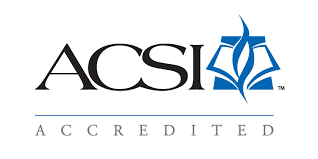 In July of 2017 Calvary Christian School was granted a dual accreditation with ACSI and WASC for six years. This dual accreditation affirms that we are providing an excellent academic education embedded in a Christian worldview. This is the fourth time CCS has been granted a 6 year dual accreditation with a one day review – 1999, 2005, 2011, and most recently in 2017. This achievement is a result of the entire CCS community’s commitment and dedication to fulfilling our mission and vision. This is a tradition of excellence which sets the bar high as we move forward on a path of continuous school improvement in the years to come.